If you’ve ever wanted to visit “the end of the world”, Chile might just be the place for you! The country is known for its distinct long, narrow shape and its diverse, stunning landscapes: the Andes Mountains, Lake District, Atacama Desert, Chilean fjords, Patagonia and Cape Horn to name a few. But dig beneath the surface and you’ll find there is more to Chile than picturesque panoramas. On one of our upcoming cruises to Chile, we won’t just take you to Chile’s vibrant cities, charming towns, and incredible natural wonders. We’ll guide you through an authentic, immersive travel experience that will introduce you to local life and immerse you in the history, culture, traditions, and aura of the country. After you’ve visited Chile with Azamara Club Cruises, this incredible country will hold a special place in your heart -- just as it does in ours. 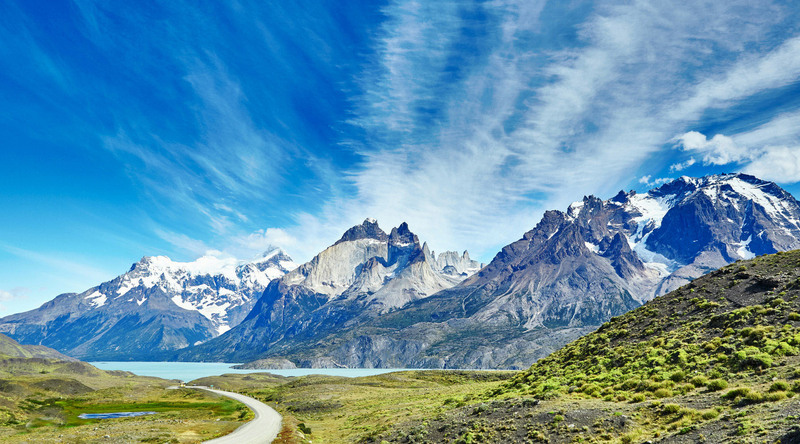 Now that you know that you want to visit Chile, (how could you not!?) read on for a brief introduction to the history and culture, with suggestions for things to see, do, eat, and enjoy. You’ll be well-prepared for your voyage to the spine of South America! Originally under Inca rule, Spain conquered and colonized the region now known as Chile in the 16th century. At this time, they achieved ruling over the northern and central part of the nation but failed to secure the area inhabited by the Mapuche, a group of indigenous inhabitants in what is now south-central Chile. Chile declared independence from Spain in 1818. In the 19th century, the country grew economically and territorially after both ending Mapuche resistance and defeating Peru and Bolivia in the War of the Pacific. Chile experienced serious turmoil in the 1960s and 1970s due to the political polarization present. The political unrest resulted in the 1973 Chilean coup d’etat and a 16-year right-wing military dictatorship and oppressive regime that left thousands dead and missing. It finally ended in 1990 when democracy was restored. Despite its complicated past, present-day Chile is one of South America’s most prosperous nations. It is socially stable and offers a high-income economy, high living standards, and leads the ranks in human development, state of peace, globalization, sustainability, and democratic development. Chile occupies a very long, very narrow strip of land along the southwest coast of South America. As one of the longest north-south countries in the world, it stretches more than 2600 miles along the coast but is only 217 miles wide east to west at its widest point. The Andes mountains are to the east and the Pacific ocean is to the west. Chile shares borders with Peru, Bolivia, and Argentina. Rapa Nui, otherwise known as Easter Island, is a territory of Chile and a UNESCO World Heritage Site located in the south pacific, 2290 miles offshore. The Atacama Desert, found in the northern part of the country, contains a wealth of minerals: mainly copper and nitrates. The capital city of Santiago is found in the small central valley, which is home to a large portion of the country’s population, much of its agricultural resources, and is the historical center from which the nation of Chile expanded when it merged the northern and southern regions of the country in the 19th century. Nature lovers will enjoy southern Chile, as it’s home to many rich and beautiful forests, lakes, volcanoes, inlets, fjords, peninsulas, and islands. A country as long as Chile has a climate that varies greatly depending on which part of the country you visit. The driest part of the country can be found in the north in the aforementioned Atacama Desert, while the center has more of a Mediterranean climate. Venture further south to find an oceanic climate, including an alpine tundra and glaciers. Many Chileans take pride in the remoteness and expansiveness of their nation. The idea of living at “the end of the world” is a major symbol of national identity. Chileans consider the remoteness and isolation as a key component for their very homogenous society, despite the large population of immigrants from around the world. Spanish is the official language of Chile (Castellano, as it’s known by Chileans). Chilean Spanish features a distinct accent to other neighboring South American countries, but interestingly enough, despite the massive distance that the country spans, there are very little differences in the accent or Spanish spoken in the northern, central, and southern parts of the country. This is one marker of the strong homogeneity present in Chilean society. A small portion of the population still speaks indigenous languages, including Aymará and Mapudungun. Most of the (small) population of Easter Island speak the native language of Rapa Nui. Foodies, take note! Chileans consider their food to be a very special and important part of their culture. Unsurprisingly, there’s quite the Spanish influence, but Chile’s cuisine has also been heavily informed by Germany too - particularly in the south of the country. Certain types of fresh produce, pork, pastries, and sweets are credited to German immigrants and the influence is still felt in the food scene today. Breakfast normally consists of something light: you can expect toast with butter or crackers with ham served with coffee and milk. Lunch is the biggest meal of the day and is often two courses: frequently ensalata chilena, a salad comprised of onions, tomatoes, cilantro, and an oil and vinegar dressing, followed by a substantial dish of beef or chicken. Chileans frequently take a break for tea time anywhere between 5:00 p.m. and 9:00 p.m. and they call it once, for which the English translation is “eleven”. Taking a break for this tea time is often referred to “taking the eleven”. This curious phrase has many probable backstories including one that says that the term comes from taking a literal translation of the British term, elevenses, which refers to the short tea break that many Brits enjoy around 11:00 a.m. In any case, once often consists of a variety of cold dishes: things like bread, cheese, ham, avocado, another salad, tea, coffee, and pastries. Dinner comes around 9:00 p.m. and is often a single (but substantial) dish. Chile’s extremely long coastline allows for abundant, fresh seafood and is common at dinner time. Traditional seafood dishes include abalone, razor clams, fresh seaweed, and sea urchins. Caldillo de Congrio: a chowder of conger eel, tomatoes, potatoes, onions, herbs, and spices. The national dish of Chile, Porotos Granados: a stew of corn, squash, beans, onions, and garlic. Chilean empanada: a dough commonly filled with ground beef and onion along with a mix of hard-boiled egg, olives, and raisins and baked until golden. Humitas: a mashed corn dish prepared with sauteed onion and basil and served inside the corn husks used to prepare the dish. Curanto: a dish of seafood, meat, and potatoes cooked on hot stones underground. Preparation can often take an entire day which often makes it quite the social event. Don’t leave the country without trying a Chilean vintage! Chilean wine production is renowned for its outstanding quality and value. Top wines to sample include Cabernet Sauvignon, Syrah, Sauvignon Blanc, Chardonnay, Carménère, and Pinot Noir. Poetry and architecture lovers alike are sure to enjoy colorful and chaotic port city of Valparaiso. Its historic quarter was declared a World Cultural Heritage Site by UNESCO in 2003 and the site is home to La Sebastiana; famed poet & Nobel Prize winner Pablo Neruda’s house and museum. This bustling, central capital city is found in the valley of the snowcapped Andes Mountains and the Chilean Coast Range. (Less than 90 minutes from the coastal port city of San Antonio, a destination well worth exploring in its own right.) For panoramic views of Santiago, take the funicular or hike to the top of Cerro San Cristóbal. There you can enjoy a botanical garden, a huge statue of the Virgin Mary, and the city’s largest public park. Cerro San Cristóbal​ in Santiago, Chile. For a deeper look at Chile’s journey to independence and to pay respects to the victims of the 17-year dictatorship and human rights violations which began in 1973, make a trip to The Museo de la Memoria (The Museum of Memory and Human Rights). The museum opened in 2010 to mark 200 years of Chile’s independence and is sure to offer a powerful and emotional experience. The museum itself is free to visit, but non-Spanish speakers can pay a small fee to make use of an English audio guide. West of the Andes mountains and home to some of the world’s oldest mummies, the barren but beautiful Atacama Desert resembles the surface of the moon. It’s also the world’s driest desert, with some areas having never experienced rainfall. Are you ready to join us onboard for the experience of a lifetime? You can explore Chile and several other South American countries on one of our upcoming South American voyages. When you cruise with Azamara, you aren’t limited to exploring coastal communities. We can take you even further with pre- and post-cruise excursions to destinations like Machu Picchu, Iguazu Falls, the Falkland Islands, and more. With all the inclusive amenities onboard and a mid-sized ship that’s more like a boutique hotel, you won’t need to worry about a thing.